In this Southland National Health Insurance Company Review, we will be discussing Southland National Insurance, which has been around since 1969. Although the company deals with supplemental benefits, it does not offer primary traditional health insurance. It may be able to help you out, however, if you are looking for additional benefits to what you already have access to through your employer. You can search for traditional health insurance right now by filling in your zip code and you will be able to compare health insurance quotes for different companies. 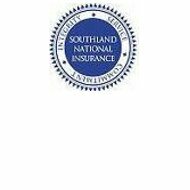 Southland National has been a strong competitor in the insurance industry because it follows its mission closely. One part of their mission is to add value for not only their customers, but also for their stockholders and employees. Southland National and its employees follow a strict set of core values. One of the values is integrity, which refers to how much people can rely on them. Southland National believes that trust is the cornerstone and foundation of everything that they do. They believe that they are bound by their word and they maintain confidence in their integrity among customers and employees. Service is another one of their core values. They strive to deliver enthusiastic and professional service in everything they do. They want to create long lasting relationships with their customers and are willing to do whatever it takes to serve those individuals who need assistance, services, or products. The third core value of Southland National is community. They respect the differences and uniqueness in every individual and work to improve the lives of themselves and their neighbors. This community mentality reaches not only to the family of companies, but also to the communities in which they work and live. In order to grow and improve, they understand that the company needs to build strong relationships and communicate both strengths and weaknesses. Their fourth value is that of profitability. Southland National understands that without the capital invested by their shareholders, they would not be able to achieve what they have. They reward the shareholders by providing them with long-term returns and by protecting their capital. One of the lines of businesses Southland National deals in is Advance Funeral Planning. This is part of their main focus, which is the preneed insurance market. This entails offering life insurance policies that can fund an insured’s pre-arranged funeral or final expenses. These life insurance products are marketed through related agents as well as through funeral homes. These products can help ease one’s mind about what will happen when you pass away and takes the financial burden off family members and friends. The other main line of business that the company offers is Supplemental Benefits. This includes the administration of employer and insured funded supplemental benefits and dental plans. Supplemental benefits help to cover expenses that traditional insurance plans do not so that you have more coverage in the case of an accident, injury, or illness. Disability insurance is one type of supplemental insurance, which helps cover expenses in case you have a short or long-term disability that prevents you from working. Accident insurance helps cover expenses in the event you are in an accident. These can be either medical or non-medical expenses. Cancer insurance is insurance that gives you a lump cash sum in the event you are diagnosed with cancer. This money can be used for cancer treatment as well as daily expenses. Critical Illness Insurance is similar in that you receive money if you have a critical illness. Supplemental Benefits also include life insurance, which helps your family deal with financial issues in the unfortunate event of your death. You can also get dental insurance for routine checkups or more critical work, as well as vision insurance, which helps cover exams, eyeglasses, and contacts. Speak with your Southland National Insurance agent to find out which supplemental benefits are specifically offered by the company. If you would like to look for health insurance immediately, just enter your zip code below and you can compare health insurance rates for a number of companies.